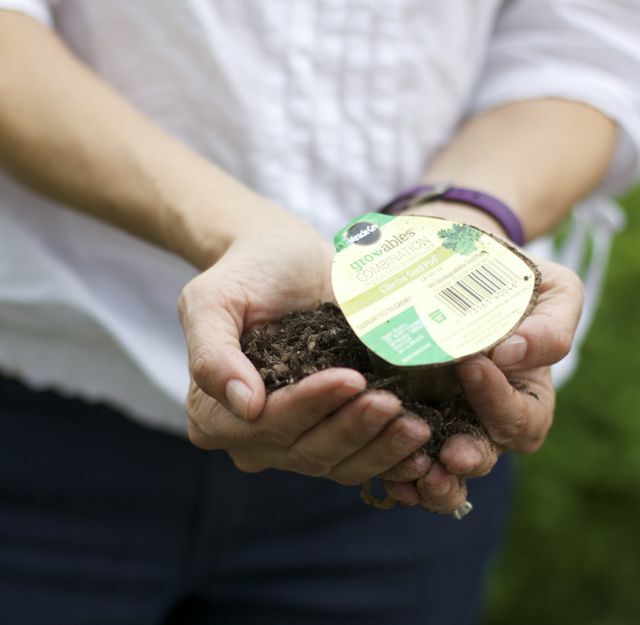 This post on how to start your garden with Miracle-Gro Gro-ables is brought to you by Miracle-Gro Gro-ables. The content and opinions expressed below are that of close to home. Despite the pollen and allergies that signify spring time, I also get excited about starting my herb and veggie garden. 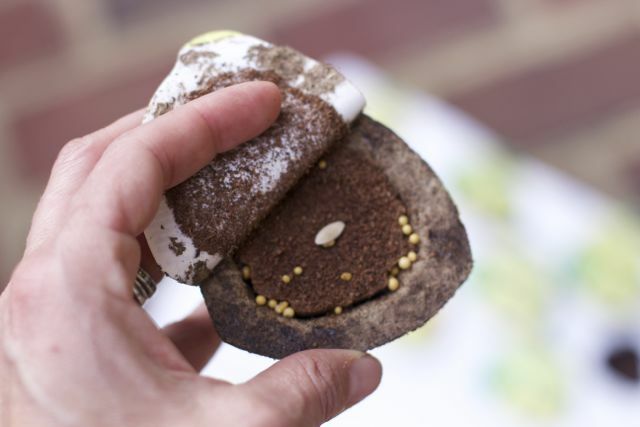 I like to start as many flower seeds as possible in our green house. I would start veggies in there but my garden is small so I don’t have room to plant 40 tomato seeds. Veggie plants are great I to love watching the kids get their hands dirty and start seeds on their own that is when the Miracle-Gro Gro-ables are wonderful. They contain everything you need for a successful plant, outside of water and sunshine. Kids will have such pride in seeing the success of their plants they started from seed. In only a few steps you can have a garden filled with a variety of veggies and herbs to have a bountiful summer produce. Simply dig a hole just deep enough to fit the Miracle-Gro Gro-ables container, leaving the top even with the garden surface. Open the lid to expose the dirt, plant food and seeds. Water gently but enough to saturate the potting materials. Outside of regular waterings and sunshine, your Miracle-Gro Gro-ables should do the rest. In 1-2 weeks your seed will sprout. Several months after planting, flowers will appear which means fruit is close at hand. If you want to start them earlier than your planting season, do so in a DIY Greenhouse another great project for kids to explore. They come in a variety of choices from jalapeño peppers and spinach to herbs. Watch this quick video of our little guy planting his first Miracle-gro Gro-able. So easy and a great way to get the kids growing and be proud of their work. 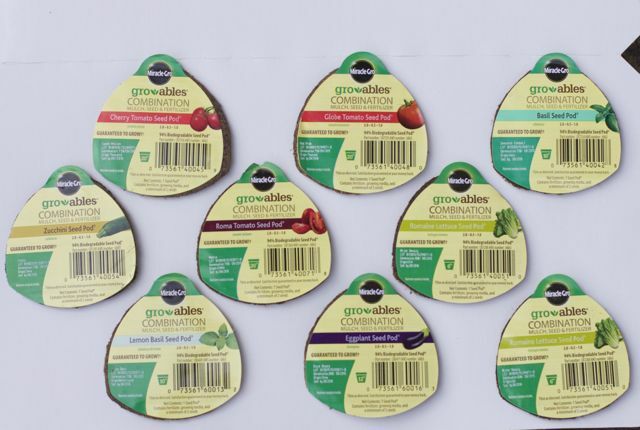 Now it is time for you to get involved in the Gro-ables Project Are you enticed to grow your own herbs and veggies with the kids this spring? If you live in a climate that is still too cold to put out your Miracle-gro Gro-ables directly into the garden considering making a DIY Greenhouse out of recycled materials. Get your kids to stop looking down at tablets and have them look into the garden. 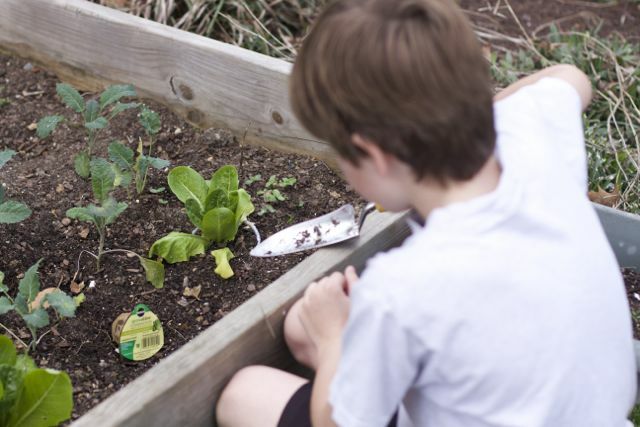 How do you get your kids excited about Spring and the getting started on a garden? I would love to have a garden! Those Gro-ables are such a great idea, and Miracle Gro is a very trusted company. Even though I am not a kid, I would probably get the gro ables since I would be a lazy gardener. I have seen these, but I haven’t tried them yet! 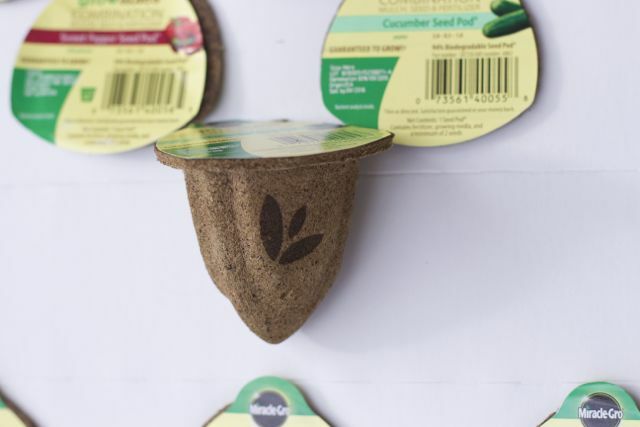 Now that I’m into the second trimester, I’m feeling more like being outside and getting back into gardening – just added these to my shopping list! This is a good idea to teach the children to love and care for nature. It is such an amazing experience for children to see how plants grow, especially if they themselves were the ones to plant the seeds. Wow, these look so great. I wish I knew this last week. We built a grow box and planted seeds, but wow, this would yield results a lot faster. Next time! This is much simpler than my little greenhouses! I will be trying these out next year for sure!